A team of doctors harvested his heart, liver, two kidneys and two corneas this morning. Yuvaraj, hailing from Dharapuram in Tirupur District, had met with an accident in March and was recovering. However he had frequent fits and lost consciousness a couple of times, family sources said. He was brought to Sri Ramakrishna hospital here on August 26 and was under treatment, but did not respond to medication and was declared brain dead last evening, Hospital nephrologist Dr Chezian said in a release. A team of doctors harvested his heart, liver, two kidneys and two corneas this morning. 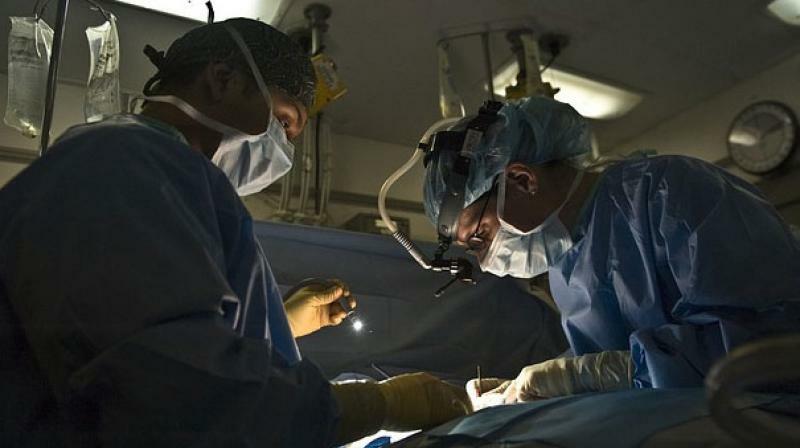 One kidney was transplanted on a patient in Ramakrishna Hospital and another on a patient at KG hospital here, it said. The corneas were sent to Sankara Eye Hospital, the liver to PSG Hospitals and heart to GKNM hospitals, all in the city, and transplanted on patients.